1. Loss of sight in one or both eyes: There is a reduction in the sharpness of your vision and a blind spot around your field of vision. 2. Cloudy vision: Your field of vision appears to be either foggy or cloudy. 3. Seeing colorful rings: Especially when driving at night, this symptom becomes strongly manifested. Oncoming headlights or streetlights may appear to be encircled by a circular ring of light. 4. Red eyes (Chronic Redness) - Your eyes appear to be tired-looking and red even though you’ve been getting enough sleep. 5. Eye pain - You may experience a sharp or dull pain and pressure in the eye. 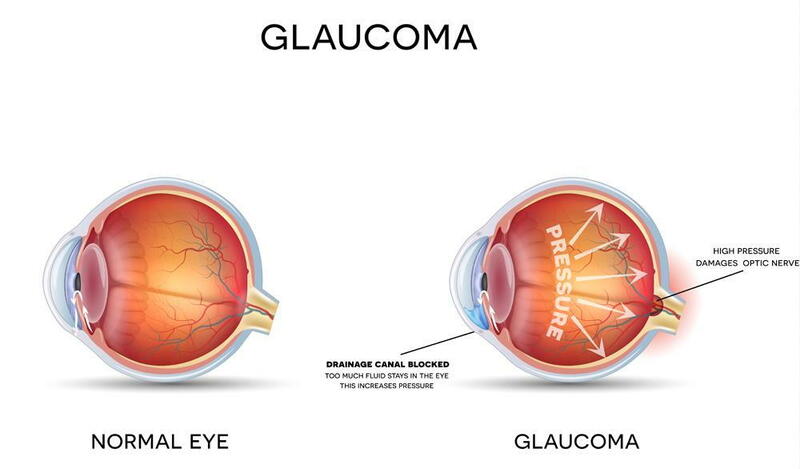 Where Can You Get Comprehensive Glaucoma Ophthalmology Testing? Contact Eastside Eye Physicians for an ophthalmic appointment. Call us at (586)-774-2020 if you reside in St. Clair Shores area or (586)-247-2020 if you reside in Shelby Township area to book an appointment today. Our offices in Shelby Township and St Clair Shores are fully equipped with world-class, cutting-edge technology.